Sitting for long periods of time, especially for individuals who work behind a desk can cause a myriad of health issues or “sitting disease.” Extended sessions of inactivity has been linked to chronic diseases such as diabetes, high blood pressure, weight gain, neck and back pain. 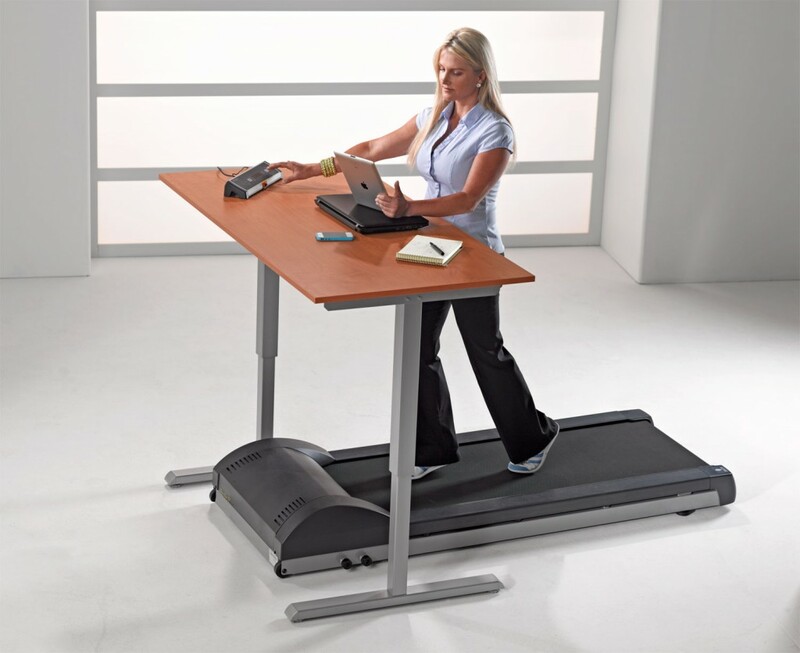 Many corporate wellness programs are now offering treadmill or standing desks. This concept was introduced several years ago, but companies and supervisors were concerned about production dropping. But new study suggests just the opposite, and these workstations are now popping up everywhere. Researchers from the University of Texas at Arlington, the Mayo Clinic and the University of Minnesota found that treadmill workstation users’ performance and productivity improved over the course of a year, and they burned 74 more calories per day, on average, than they did before using the devices. Once people got the hang of it, they felt more motivated and focused. Additionally, those using either the treadmill or standing desk claim they feel better, have less pain and feel less tired a the end of the day. It may not be for everyone, but there’s no denying this may be the answer of the future, the ability to walk, stand or sit while performing your job. Your health just may depend on it! Tell me what are your thoughts on this. Would you use one if it was offered to you? Do you think you would like it? Categories: Trending, Uncategorized | Tags: chronic diseases, health issues, treadmill workstation, Trending | Permalink.